​The three AGM skivers (Jess, Kat and Izzy) thought that they should update the club on why they didn’t join in the battle of club champion. Read on to find out more, written by Izzy (with the help of Kat and Jess on the long journey home!). Although it was quite a thought to drive all the way to the Lake District on a Friday evening after school, we were promised a jam-packed weekend of top-notch orienteering. What’s not to like?! The Hawkshead training weekend is held annually in the Lake District, and is organized by JROS (Junior Regional Orienteering Squad). Each region has an allocated number of spaces, for M/W 16’s, who all train and stay together. The sessions were centrally organised, but each region had their own coaching teams. Scotland had the biggest group, with 9 athletes and 3 coaches. 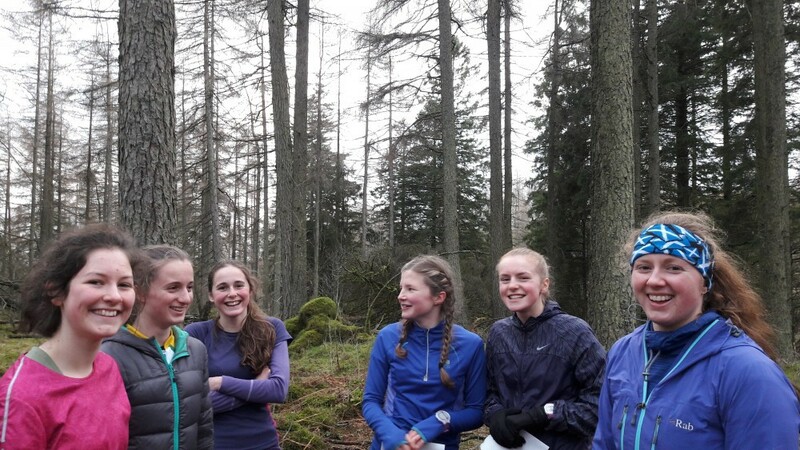 Jess was with SEDS (Scottish Elite Development Squad), who joined in with training and helped to coach. After an early start on Saturday, Scotland alongside 3 other regions headed to the first area- Summerhouse Knott. 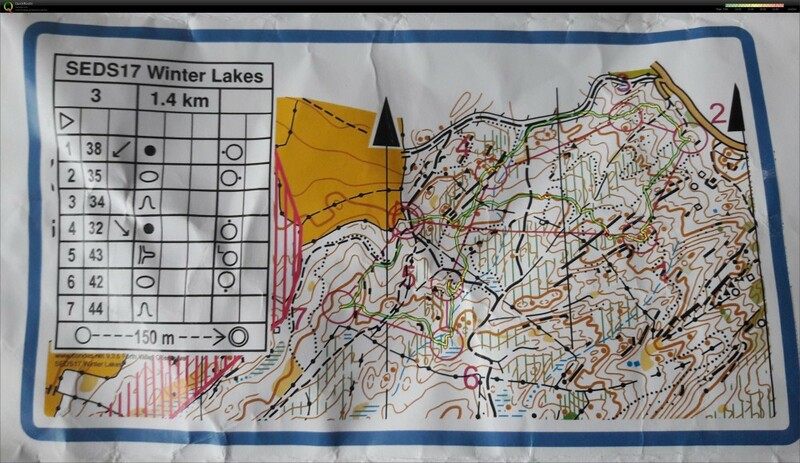 This was an eye opener, as it was mine and Kat’s first venture into orienteering in a non-Scottish forest. The terrain was very mixed, and pretty different to Speyside; it had lots of steep, rocky slopes, with lots of changes in runnability. There was a variety of exercises, some individual and others in pairs. The one I found most interesting was a relocation exercise with Jess where we took it in turns to take each other into a large circle, hand over the map and the other had to find the control within that larger circle. This was a new exercise to me and allowed me to see how quickly I can relocate when I’m not under pressure. After lunch, we drove to the second area of the day, Tarn Hows. This area was quite a contrast to the morning, as it was mostly and open hillside. We started off with a line course to get a feel for the area, before doing training focusing on slope practice. To finish up, we teamed up with SEDS to do a gaffled mass start, stimulating the first leg in a relay. This was a good laugh, and we all ended up finishing at the same time. 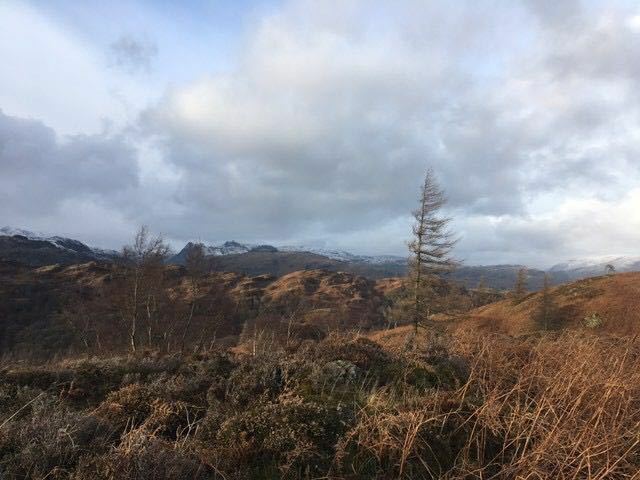 The views out to the snowy hills were stunning! 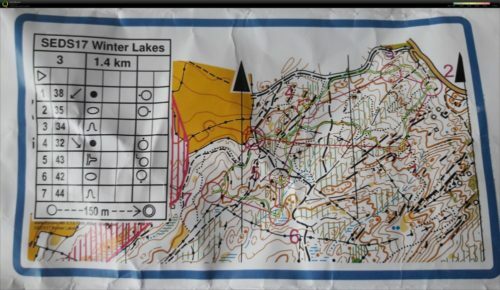 Our third and final training area was Dale Park (Graythwaite). It’s fair to say that we were all tired, but there was still plenty of learning to be had. Beforehand we had been told that this was one of the Lakes best areas, so expectations were high. 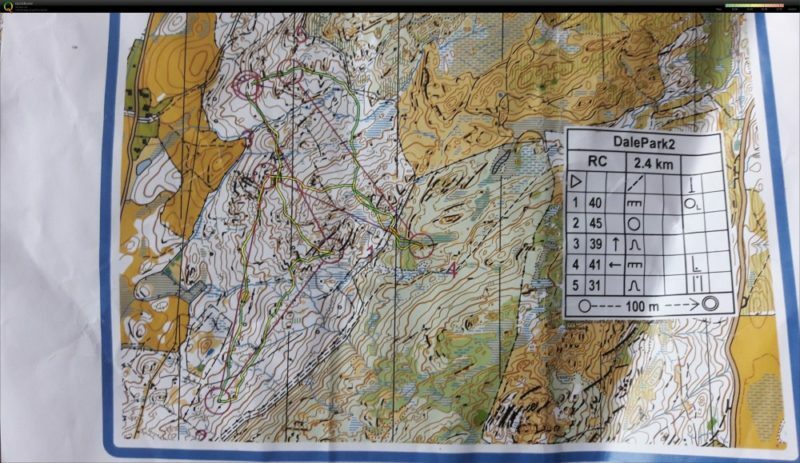 Again there were a variety of exercises planned, and we finished up with a chasing start amongst the Scottish Juniors. 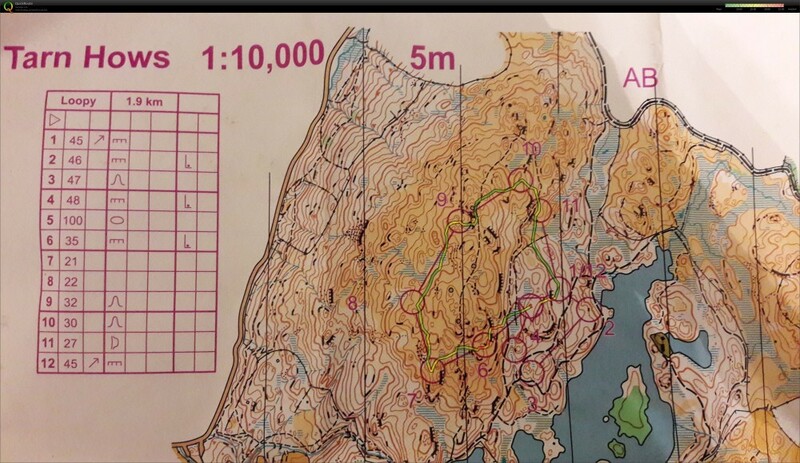 This was a really nice way to round off the weekend, in such a nice but technically challenging area. This weekend lived up to it’s expectations! It was tiring, but a very worthwhile experience, giving us a chance to learn techniques which aren’t needed so much in Speyside. It was also a great social opportunity, getting to mix with juniors all over the country. A big thanks to the coaches- Sarah Dunn, Rona Lindsay, and Lorna Eades, and to JROS for organising the whole weekend.